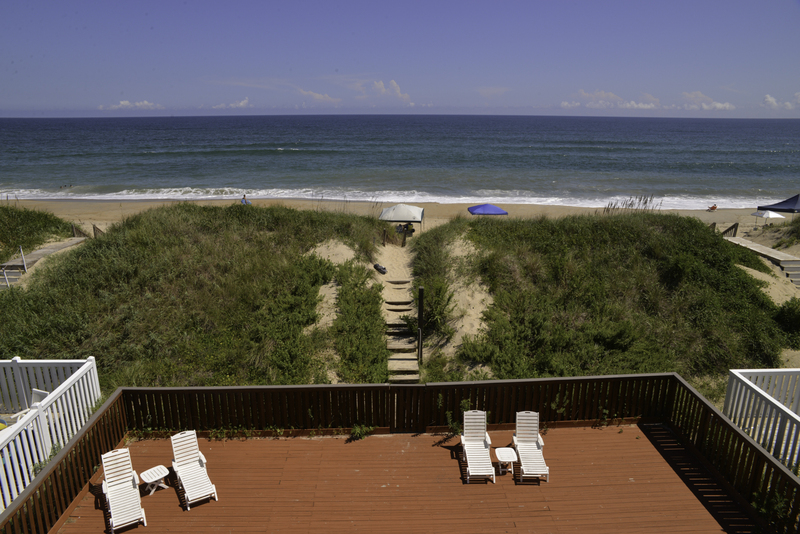 Spectacular views of the Ocean & Beach await when you choose this fabulous Nags Head home for your Outer Banks vacation. This spacious home offers one of the best floors plans on the Beach. 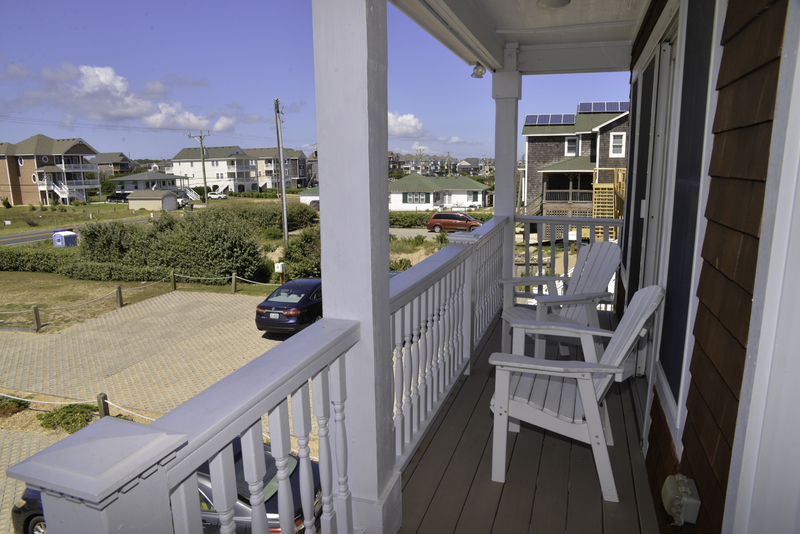 Nothing has been left to chance & everyone is sure to be pleased w/the great features this Atlantic Paradise provides. After spending time on the Beach, the Private Oceanfront Swimming Pool will be one of the main attractions but the Sports Bar w/Pool Table, Shuffleboard Table, & Game Table may pull some of your group away. 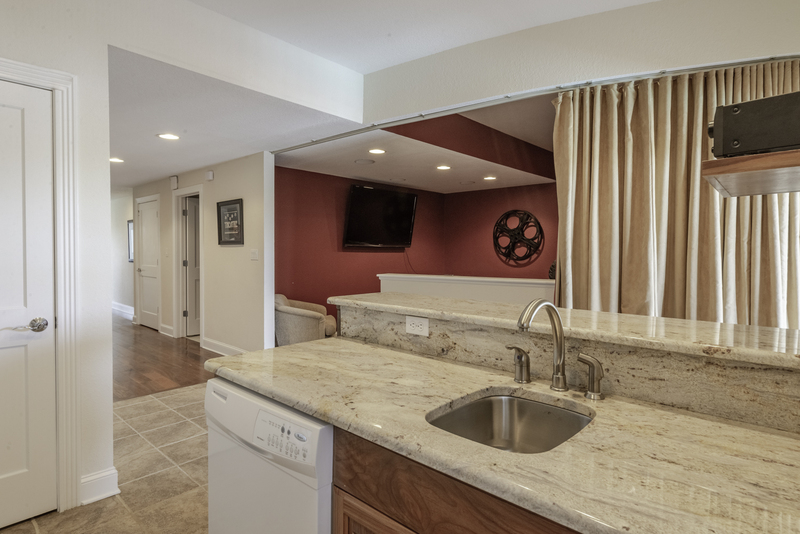 If that's not enough, there is a Den w/Wet Bar & Home Entertainment System w/theater style seating that provides extra space for spreading out & relaxing. 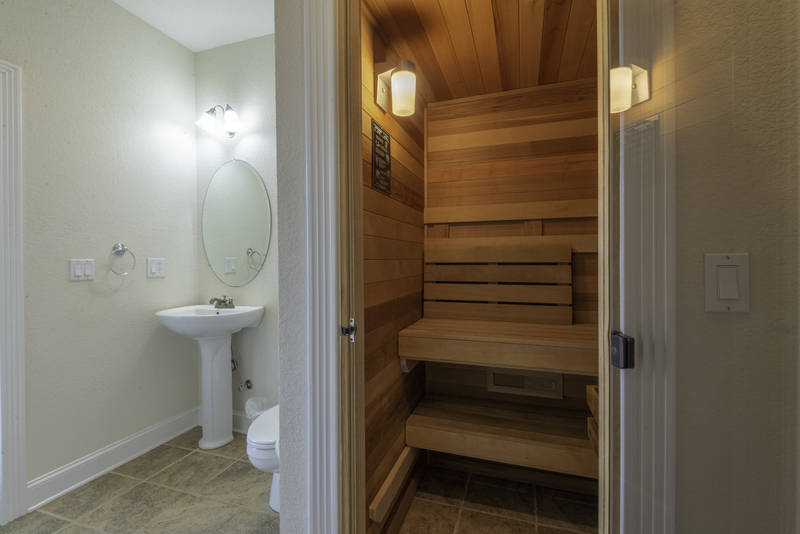 An Elevator provides access to all levels so this home is perfect for family reunions & there is one roll-in shower for family members w/special needs (not ADA compliant). This home is state of the art when it comes to luxury so don't miss the opportunity to vacation in grand Outer Banks style. Ground Level: Parking for 6 Cars, Entry Ramp & Steps to First Level, Carport, Private Oceanfront Swimming Pool (Can Be Heated for $425.00 Per Week, Plus Tax) - Please Bear in mind that Pool Temperature is Subject to Outside Temperatures & Weather Conditions), Hot Tub, Grilling Area, Enclosed Outside Shower, & Walkway to Beach w/Shower. Level One: Five Steps to Covered Entry, Handicap Ramp, Elevator Serving Each Floor, Theater Room w/Big Screen TV Entertainment System, Theater Seating, Wet Bar w/Full Size Refrigerator, Bar Area, Sauna, Full Bath (Accessible from Rec. Room & Pool Area), 2 Master Bedrooms (1 w/King, TV, & Full Bath & 1 w/Duo Bunk, Bunk Set, TV, & Full Bath), Laundry Area, & Access to Covered Deck & Pool Patio Area. Mid Level: 4 Bedrooms (4 Master Suites w/Kings, TVs, & Full Baths (One Master Suite is Handicap Friendly w/Roll-in Shower)), Oceanfront Sports Bar w/Pool Table, Shuffleboard Table, & Game Table,, Wet Bar, Free Standing Ice Machine, 6 TV's, Laundry Area, Oceanfront Covered Deck & Fabulous Ocean Views. Top Level: Expansive Living/Dining/Kitchen Area, Wonderful Views of Ocean & Beach, TV Entertainment System, Gas Fireplace, Half Bath, Kitchen Area w/Granite Counter Tops, Stainless Steel Appliances, Grand Master Suite w/King, TV, & Full Bath w/Jacuzzi, & Sun Deck. 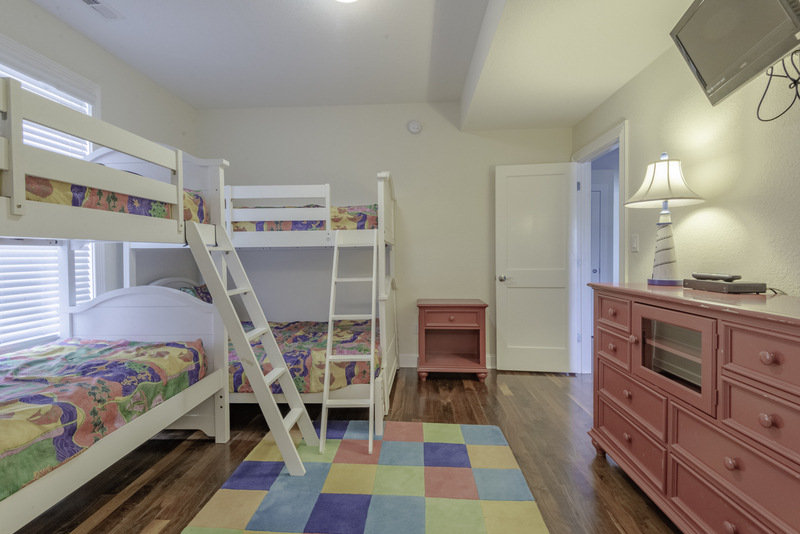 Features include: C/AC & Heat, 2 Washers/Dryers, 2 Dishwashers, Microwave, Phone, TVs, DVDs, Stereo w/CD, Wireless Internet, Ceiling Fans, Baby Equipment (High Chair & Pac-N-Play), Steam Room, Deck & Pool Furniture, Gas Grill, & Ocean & Jockey's Ridge Views. No Pets. This is a Non-Smoking Unit. Very comfortable home, lots a nice gathering areas. Well stocked kitchen. Great chairs on decks and around pool. Very nice home. The handicapped accessible bathroom sink and shower were wonderful. Thanks for putting in the grab bar by the toilet. My wife is in a wheelchair. This house was the most accessible that we've rented in the last 10 years. The big table was a plus...everyone got to eat as one big family. A great beach home!!!!! 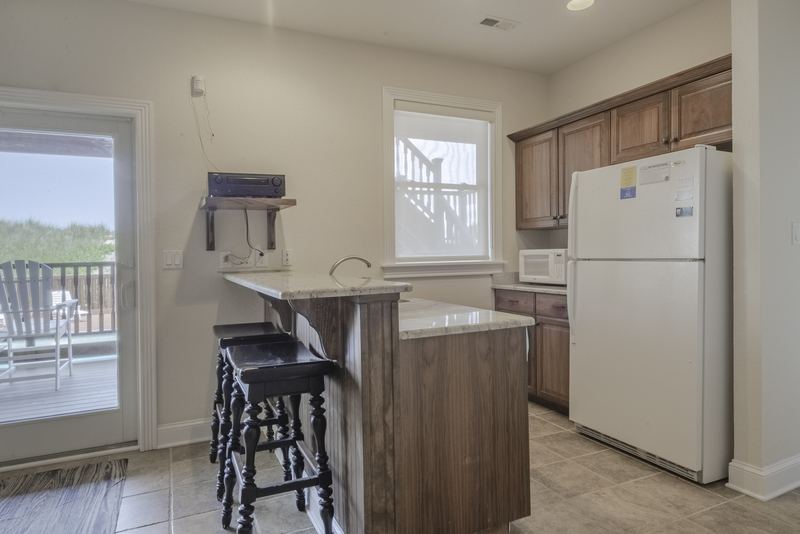 Property had all the amenities and more one hopes to have for level of rental. The layout was great as well as staging. Loved using the Viking stove! Owner should build many more!!! We had an excellent stay at the Blue Marlin. Lovely home with wonderful beach access. We love renting from Joe Lamb & associates! Loved the Blue Marlin , if we come early in the season would rent it again absolutely !! We loved the house elevator was a big plus.Overall we enjoyed are self. The house itself and furnishings were lovely. The view was spectacular. Beautiful home and wonderfully decorated. It accommodated our large group with no problem and plenty of space for everyone. 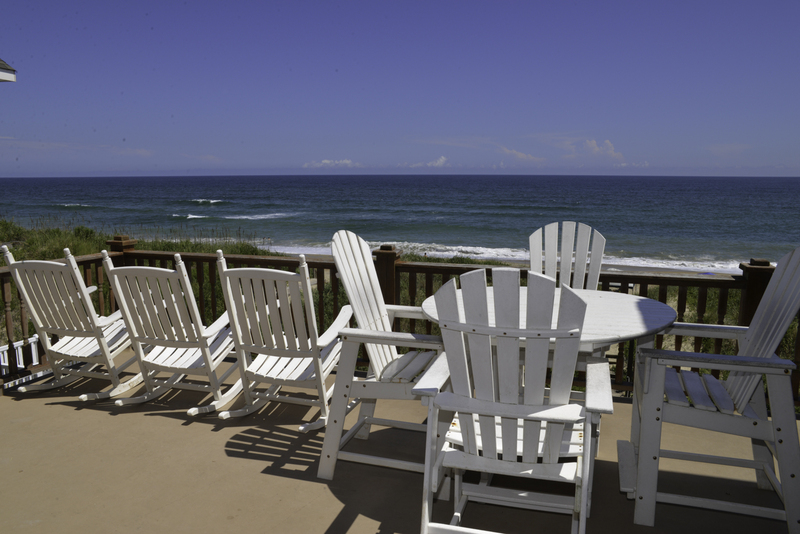 Perfect home and great location in outer banks for a memorable family vacation. Love seeing the sun rise over the ocean from the 3rd floor family room, and biking over to Jockey's Ridge in the evening to watch the sun set behind the dunes. My family made some great memories at the Blue Marlin during Mother's Day weekend. This is a beautiful home with an excellent location. I brought my 3 adult children and their families, everyone had a great time. We all had private space but also had wonderful space to gather together. The location is great, we walked to the pier everyday, Jockey Ridge was so close, renting bikes made it easy to get around. I like that the house was close but still away from the hustle and bustle of the main street. Joe Lamb was easy to work with and available for any needs we had. Absolutey stay here!!! The master suites are roomy and beautiful. The game room is fun, the pool is great. 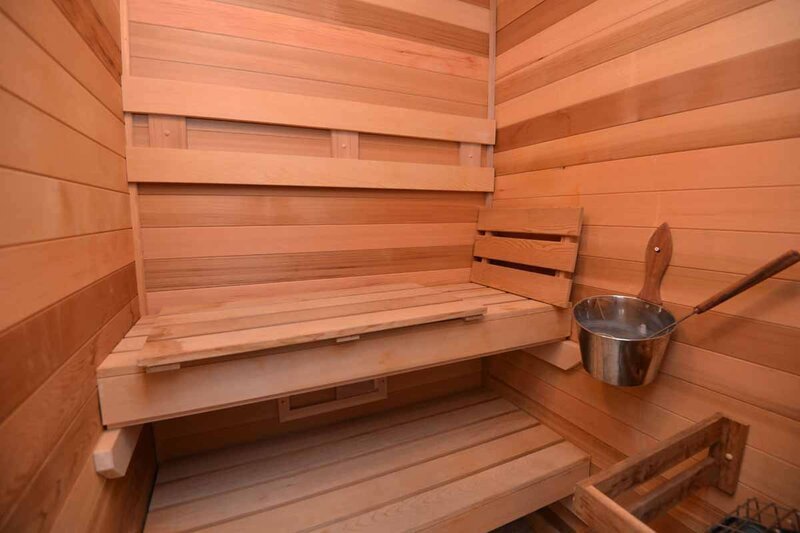 The sauna was easy to operate. Can't beat the location right on the beach and close to the pier. 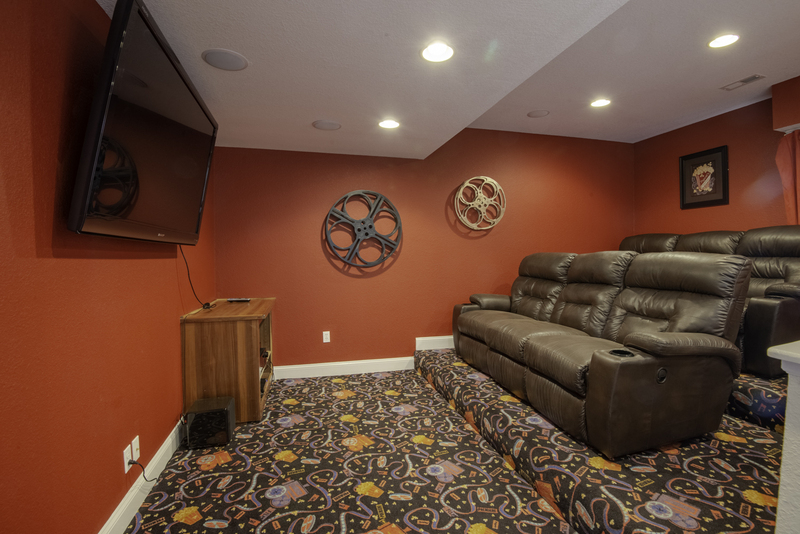 The theater room was AWESOME...used that a lot!!! And the top floor was EXCELLENT for everyone to get together for cooking and enjoying good meals together. We are definitely coming back here !